A BIT OF A STRETCH, ISN’T IT? 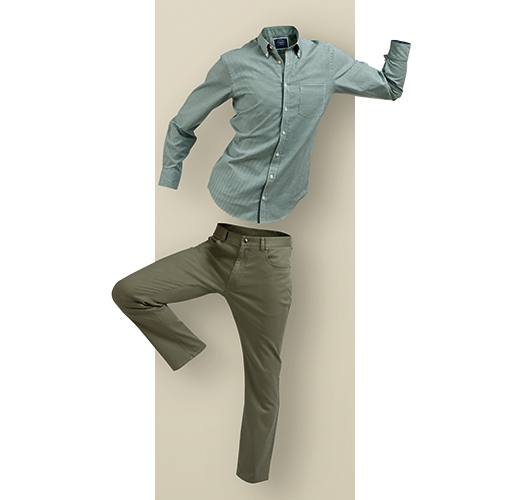 At Charles Tyrwhitt, we’re dressing you in head-to-toe stretch clothes – trousers and shirts. Wear them for the comfort, for the extra movement, or because you’re a 24-hour yogi: why wouldn’t you when they look this good? 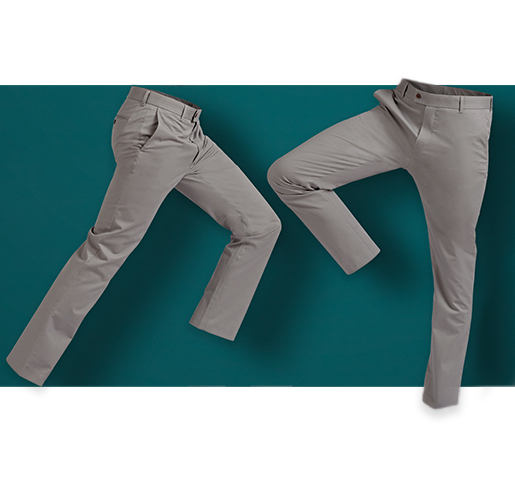 Charles Tyrwhitt smash-hit stretch trousers of unparalleled comfort and movement: these lightweight wonders are the most comfortable trousers your legs will ever experience. The sleeker fit has gone down an absolute treat with Tyrwhitt men around the world. 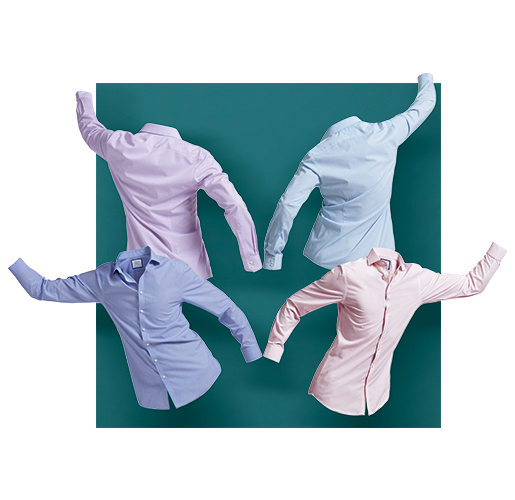 This is the Charles Tyrwhitt shirt you know, only with a whole lot more movement. This cloth stretches in four directions: up, down, left and right while looking like an elegant office shirt. CHECK THIS OUT... NO ELASTANE! 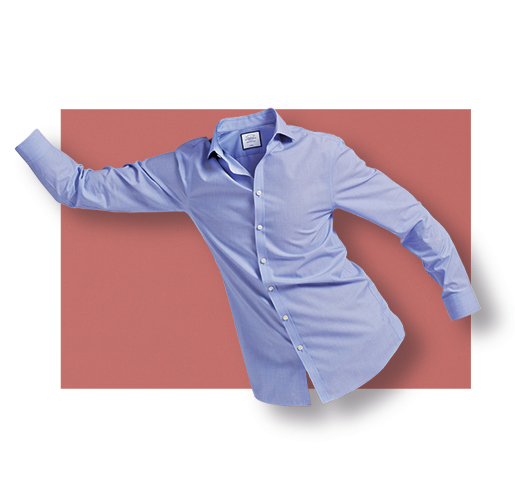 This stylish shirt combines the comfort of stretch with the ease of 100% pure breathable cotton. Our geniuses at Tyrwhitt Towers invented a weave with mechanical leeway, which, to everyone's surprise, is also non-iron. If the idea of unrestricted movement appeals to you, don’t be afraid to embrace top-to-bottom stretch. Even though we’re more than keen on shouting about it, we make it invisible, so you feel the unmatched comfort of your getup while everyone else only sees you looking incredibly smart.